“You have to learn the rules of the game. And then you have to play better than anyone else.” - Albert Einstein So it’s all about the game. We have been gaming since childhood, with scrabble, cop-thief, monopoly etc, and that’s how we have learnt the basic concepts of life. And now based on the similar notion, the new management fad co-relates GAMIFICATION and HR. Yes, you read it right! 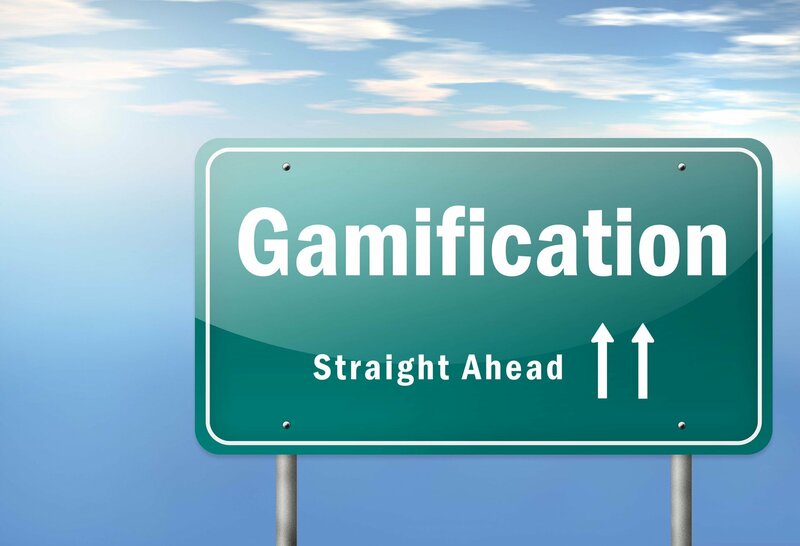 Gamification is the usage of game-thinking and game mechanics in non-game scenarios such as business environment and processes, specifically in recruitment, training and development, and motivation; in order to engage users and solve problems, as defined by Gartner Group. According to a Gallup research released in April 2012, less than one in 10 employees are ‘engaged’ in their jobs. The remaining are ‘not engaged’ (60 %) or are ‘actively disengaged’ (32 %) - the most harmful form of disengagement. The objective is to take techniques from game design and implement them in non-game contexts, so that the overall experience for the employee or 'user' is more engaging. The author of Gamification of Learning & Instruction, Karl Kapp, says the key to gamification is how addictive it can become across all generations of people. Kapp believes the advantages that are part of gamification encourage users to stay engaged and interact with each other, building stronger relationships. A number of organizations like Marriott, Cognizant, Deloitte, Aetna, and a few others are using gaming to improve workforce alignment, enhance employee skills, solve complicated issues and tap into new talent pools. Typical game design techniques consist of goal setting, competition, real-time feedback and rewards. There are also platforms such as eMee and MindTickle that facilitate Gamification in organizations. TCabs, a local radio cab service provider from Pune, India, has transformed its ordinary Call a Cab business into a gamified customer-engaging offering, using the eMee gamification engine. TCabs has introduced one of the first customer loyalty program for cabs in India, called TMiles. They have also added game mechanics to encourage customer activities like providing feedback on the cab journey, encouraging users to actively participate in improving their service and sharing their TCabs experience with their friends. The power of Gamification works like this: it utilizes the competitive streak we all have within us and as we play a game, we become more absorbed and engaged,we feel a greater sense of achievement and are more willing to go the extra mile in either making more efforts to choose the right people, or completing more training programs, or even helping employees to stay motivated. And as we progress, we continue to increase our engagement with the game and reach new levels. Marriott International Inc. was an early implementer to test how gamification can be utilized in recruiting the right people. It developed a hotel-themed online game similar to Farmville or The Sims, to acclimatize prospective employees with the Marriott as an organization, the company culture and the hotel industry. Anil Garg, VP-HR, Whirlpool, stated during the recent TimesJobs.com boardroom conference that they have been significantly using social media and gamification (cryptic puzzles) to engage prospective employees to keep the brand connect alive. It’s clear that gamification within the recruitment sphere has proved to be successful for these companies and is getting tremendous results. The renowned Deloitte Leadership Academy, which has trained 10000+ executives from all over the world, delivers learning gamification through Badgeville to increase knowledge sharing and brand development. TCS has also stepped in the world of gamification by implementing game engines that allow the creation of real-life environments with built-in networking features, enabling the development of such Massively Multiplayer Online Role Playing Games (MMORPG). The application of MMORPG for real-world industrial training and simulation can lead to greater collaboration and team play and reduce the dreariness involved in solo-training, says the team. Accenture is using the gamification tools for employee engagement and workplace behavior modification. The World Bank’s Evoke is a social collaboration game for solving social problems. A very promising area of engagement and retention where gamification can be implemented is employee wellness. For example, Mindbloom’s Life Game being utilized by Aetna, is a freemium online social game aimed at improving employee health and wellness by encouraging interactions with a metaphorical “self”. In essence, users can keep a check on their healthy by choosing, and developing plans to foster wellness. The market for gamification is expected to grow significantly in the next coming years. The Gartner research indicates that by 2015, 50% of organizations that deal with innovation processes will gamify those processes, and that by 2014 more than 70% of Global 2000 organizations will have at least one gamified application. So are YOU in for it? Last but not least, would you be interested in the Most Effective Uses of Gamification in Learning? In the Free eBook: How Gamification Reshapes Learning you will find useful Gamification Tips provided by 23 Gamification professionals.